There are 2 types of SEO plugins for WordPress. There are free WordPress plugins and there are premium plugins, which you must pay for. 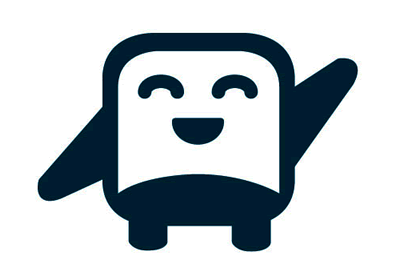 Generally premium WordPress Plugins are better. This is a SEOPressor review of a premium WordPress SEO Plugin. Most of the plugins for WordPress are free, and some of them are very good ones. Usually I only use free WordPress plugins. But after seeing a review of what Daniel Tan’s SEOPressor WordPress Plugin does I decided to purchase it. As a member of the Warrior Forums, I am very familiar with Daniel’s reputation, he is very well known in the search engine marketing circles as an SEO expert. So What Does The SEOPressor Plugin Do Exactly? The SEOPressor plugin automates your on-page SEO, making sure that your title and text get the maximum SEO leverage for your main keyword. What’s more, it does it quickly and effectively. Simply enter your main keyword into the appropriate field and let the plugin do the rest! SEOPressor gives you a visual way to see how well your page is optimized for the search engines. It will grade your page as you write it. All you need to do is tell SEOPressor the main keyword or keyword phrase that you want to rank for. ensures that your main keyword is included in your title, if it is not it will add it automatically to your title. If you could remember to do these things yourself, you would produce a web page or post that is very well optimized for the search engines. Most blogs have hundreds of pages that need search engine optimization. Using this software will save you a lot of time, it does it all for you automatically, as you write. I am very glad I purchased SEOPressor. It really helps to optimize my posts and pages for the search engines. I have built back-links to my posts, and having my pages search engine optimized really helps in getting them indexed and ranked. If you have done your keyword research, and if you have properly optimized your blog posts with the SEOPressor plugin you will rank well on Google. 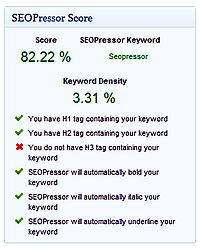 I would recommend the SEOPressor plugin to anyone who wants to get their WordPress blog ranked in the search engines. 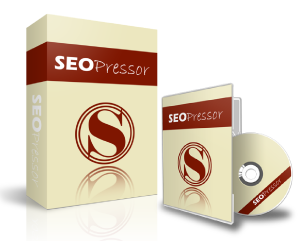 SEO Pressor is the only SEO plugin I ever used and it works great for me. It’s really important for anyone who has guest bloggers too because it helps manage their content more easily. I read your review of SEOPressor and I know that you love this plugin Ileane. Now we have 2 things in common, SEOPressor and CommentLuv! LOL! Thank you for the comment Ileane.